Please observe the yellow lines on the ramp which mark the ramp edges. There is a 4 foot strip of sand between the ramp and the floats. No overnight parking in the Harbors parking lots. Limited truck and trailer parking, please make sure your rig is in between the parking stripes. South Whidbey Harbor Docks: The floating docks at South Whidbey Harbor are open to the public from 9:00 a.m. to 9:00 p.m. 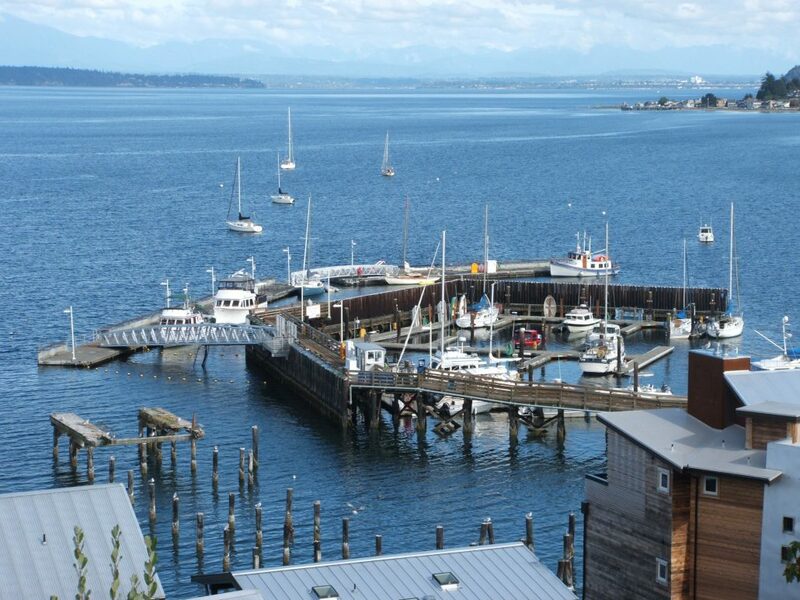 The pier is always open for spectacular views of Saratoga Passage. 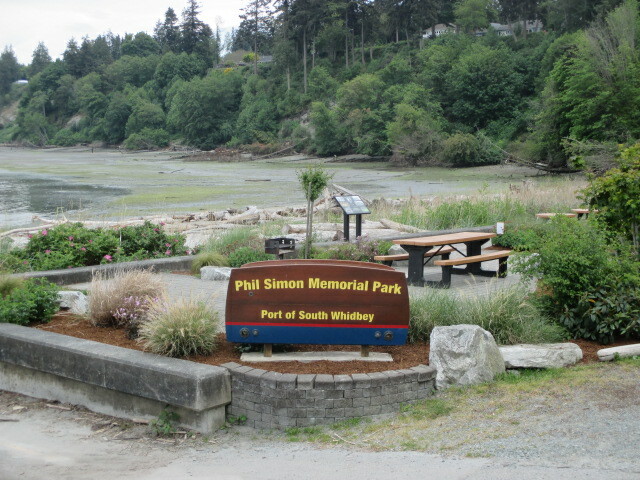 It is with great pride that we welcome you to the South Whidbey Harbor at Langley. 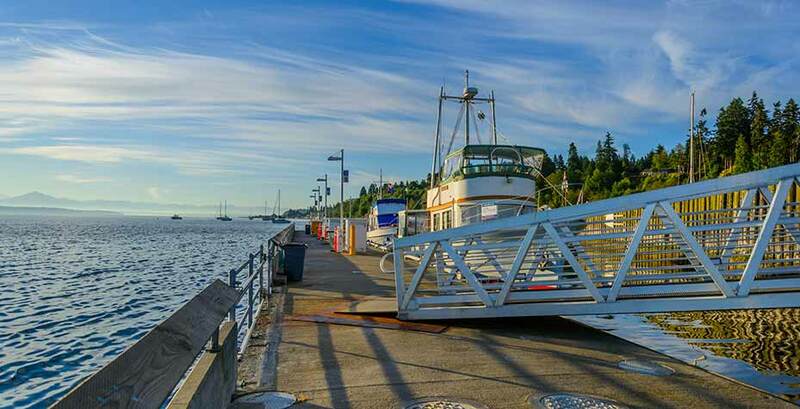 Our southeast Whidbey Island location along Saratoga Passage, and the City of Langley’s unique amenities and celebrations, make the marina a desirable destination. Our goal is to make your stay at the Port of South Whidbey’s Harbor at Langley as enjoyable and accommodating as possible. Therefore, the Port Commission has adopted the following slip reservation policy. Please note that reservations must be made with the Harbormaster, and all accommodation at the harbor is on a space-available basis only. Club Cruise Captain will compile and provide the Harbormaster with a list and dimensions of all vessels. A form will be provided. No reservations with an arrival on July 3rd, 4th, 5th or Labor Day weekend September 1st, 2nd,or 3rd. Call the morning of your desired arrival and a slip will be held for you if available, or you may arrive on a prior date and say through the Holiday. Individual reservations may be made for overnight stays. “Daystops”, stays of up to 5 hours duration are on a space available basis. It is recommended that you contact Harbormaster prior to departing your home port for availability. All vessels which willl be in the Harbor after 4:00 PM will pay the overnight fee. Limited reserved dockage is available. Vessels with a greater L.O.A. than stated may be turned away. Fill out the form below to request your reservation at South Whidbey Harbor. Please note that your reservation will be confirmed via email once availability is confirmed. Reservations cannot be confirmed online less than 48 hours prior to arrival date. Please provide your vessels correct L.O.A. (Length Over All) from the tip of your anchor to the farthest point aft including swim step, dinghy or davits to ensure we can accommodate your vessel upon arrival. This does not guarantee you a boat slip. We are just accumulating a contact list so as to help us with our planning purposes.